All eyes are on Brazil as the 2014 FIFA World Cup and 2016 Summer Olympics draw nearer. Both events will be hosted in the beautiful city of Rio de Janeiro. Invented as a movie title by the director Carlos Diegues, “God is Brazilian” is the famous catchphrase among the Brazilian people, who have eagerly awaited such an opportunity to shine in the international arena. Big businesses from the top multinational companies and the largest international organizations are focusing their operations and projects on these two international events, and Brazil has furthermore become an emerging economy that boasts continuous growth and important spending in diversified markets. 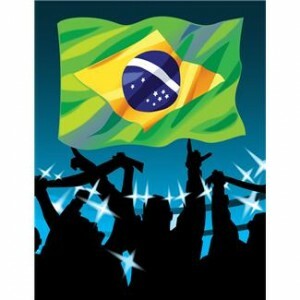 For example, social media networks and cell phone technologies are taking an avid interest in the Brazilian market. Eager to attract foreign investment, the country is working hard to develop key infrastructures necessary to support international business climates. According to Esteban Israel from Reuters, “with just a year left before the opening match, Latin America’s biggest economy is struggling to finish new stadiums and put in place key infrastructure such as G4 mobile networks” (Big Business and Brazil’s World Cup). Thus, Brazil represents a lucrative opportunity for business, and getting translations done from and into Brazilian Portuguese is a necessary step for those looking to engage in Brazilian-U.S. business relationships. Trusted Translations offers translation and interpretation services for Brazilian Portuguese, using highly-qualified linguists with ample experience in various fields of enterprise. Request a free quote today for the translation of your materials.